Fair isle knitting is becoming increasingly popular but it can be intimidating if you've never tried it before. Whether you're brand new to fair isle knitting or you just need to brush up on your skills, Selbu mittens are a perfect way to learn and practice fair isle knitting. You'll also love this class if you already know how to knit fair isle but want to learn how to knit these traditional Norwegian mittens. In the class we'll knit a mini mitten (perfect for Christmas decorations) to practice all the fair isle techniques - how to knit with a colour in each hand, how to strand the yarn correctly and more, as well as how to shape the mitten. 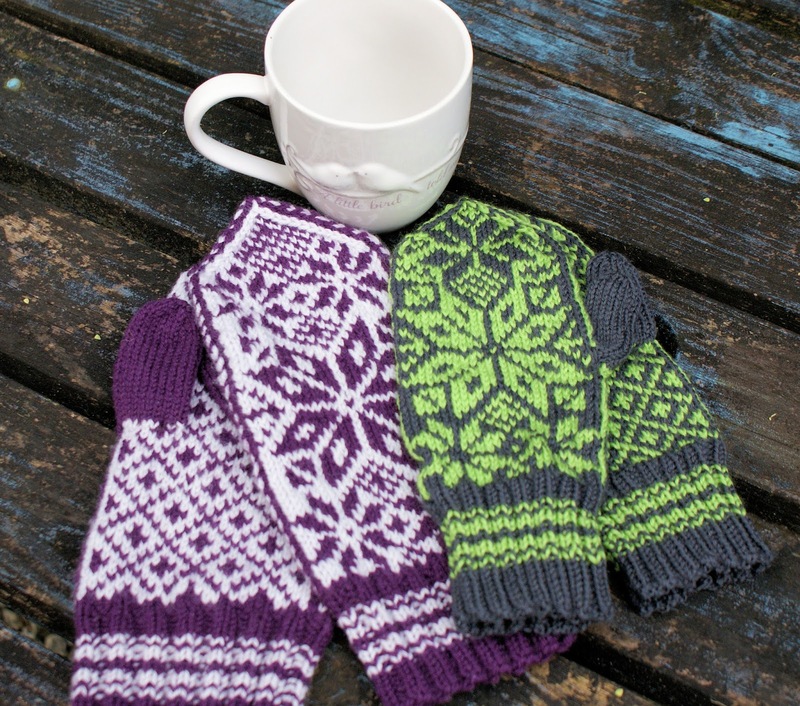 You'll get a choice of two mittens and one hand-warmer pattern to take home. 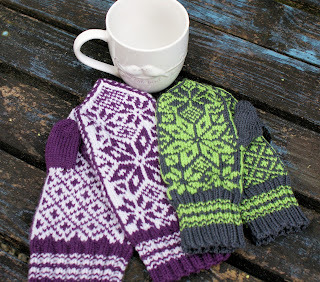 Selbu mittens are traditional Norwegian mittens and are a fun project and perfect for Christmas presents. 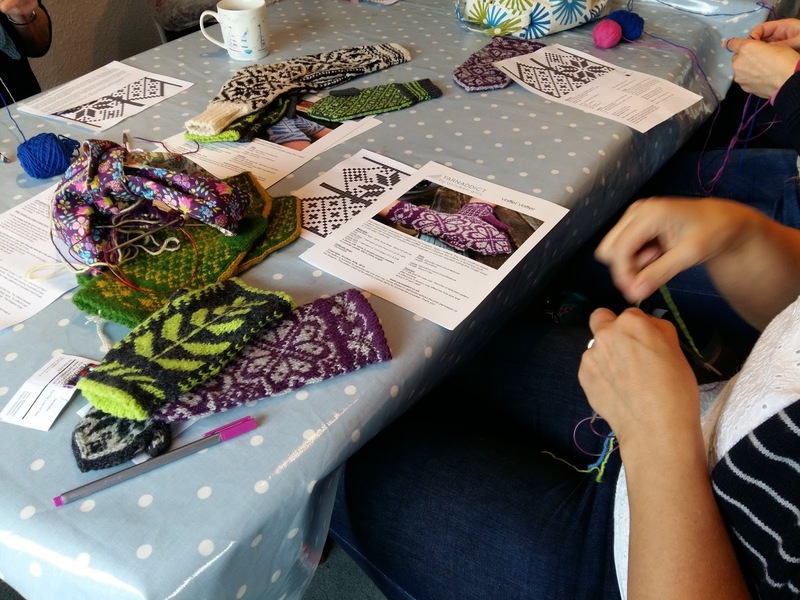 Last Saturday, I taught Sellbu Mittens at The Slipped Stitch in Sherborne, Dorset. The photo below is from the class. The ladies varied in age from 30s to 60s. Some were experienced knitters who'd knitted from many years and some were brand new knitters having only learnt earlier this year. They all enjoyed it and were pleased with what they had achieved by the end of the day. 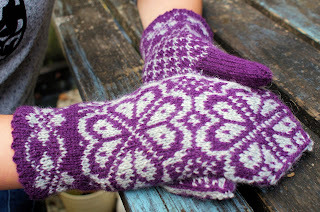 On 7 October, I'll be teaching Selbu Mittens at La Mercerie in Cowbridge, Wales (approx 30 mins drive from Cardiff). There are still spaces on this workshop. Contact La Mercerie for more details and to book. 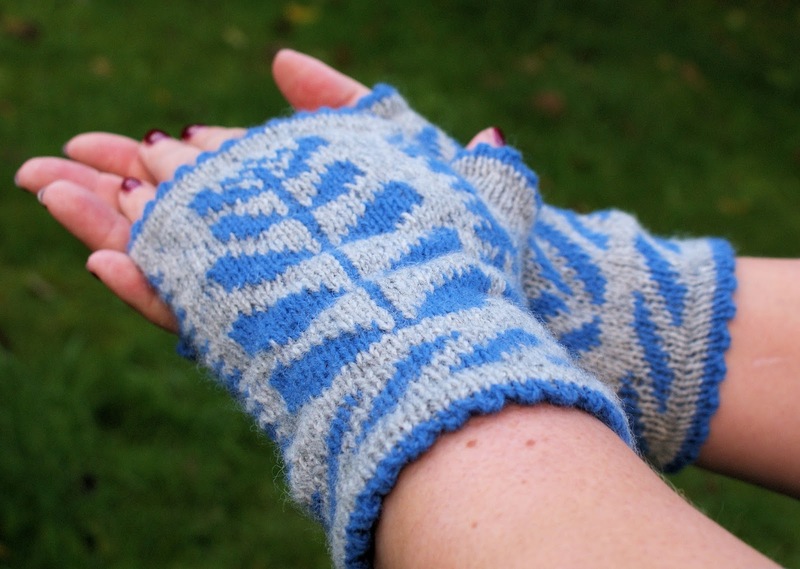 In December I'll be teaching Selbu Mittens at The Wool Merchant in Dartington, Devon. Contact The Wool Merchant for more details and to book.